Raspberry Pi DIY Pan Tilt Tutorial @Raspberry_Pi #piday #raspberrypi « Adafruit Industries – Makers, hackers, artists, designers and engineers! 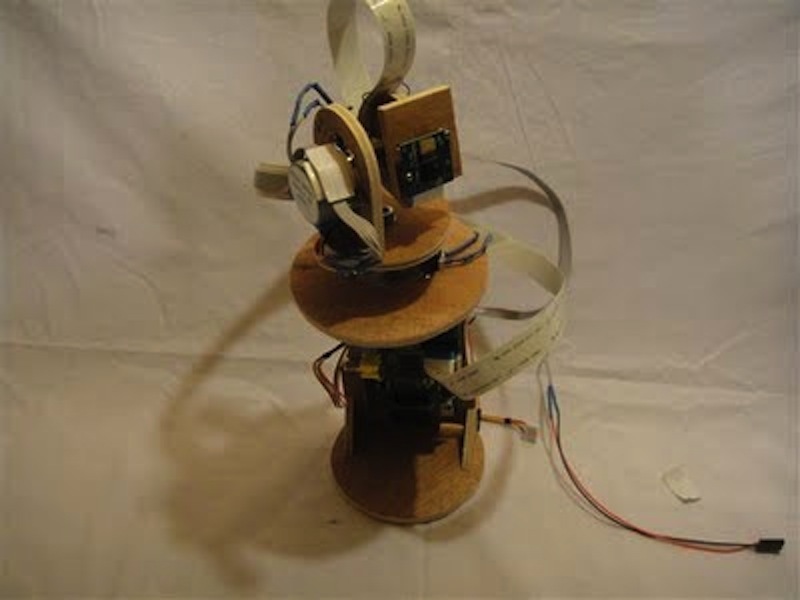 This aims to show the reader how to build a simple Pan tilt mount using readily available stepper motors and other parts. This device automatically moves the camera to pre set angles and at pre set intervals. 2 x 28BY-J 5V stepper motors with ULN2003A driver board. Dupont cable female to female, usually these are supplied in 40Way strips. Plywood approx 30 x 40 cm should be plenty. Glue for gluing the wood parts together, I used hot melt glue. Solder, soldering iron, wire strippers cutters etc. Approx 10cm of thin steel wire, approx 0.5 – 1mm. You could probably use a paper clip.